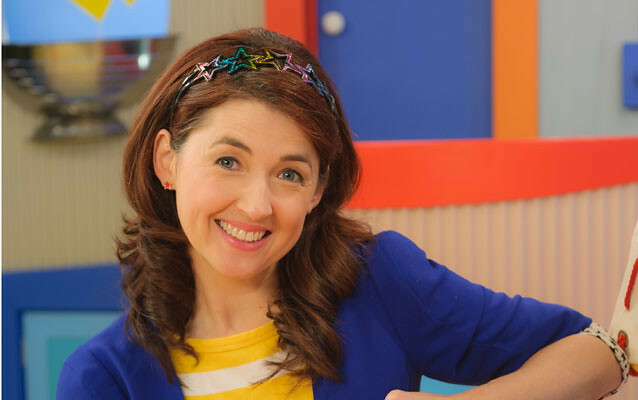 If you include her hosting duties at TVOKids, Patty Sullivan has been a television friend to our kids since 1994. My three oldest kids have all enjoyed her work as host of Kids' CBC where she's been since 2003. Sadly, my youngest won't have that pleasure. Kids' CBC is rebranding this coming winter, and that means no more Patty Sullivan, Sid Bobb or Mamma Yamma. For the short in-house segments — which Markle likens to short stories — the goal of the "total rebranding" is to create videos that work on television as well as on digital and mobile platforms. "We're going to have a new studio and set that will allow us to create content that is platform agnostic and go anywhere," he said. "Kids watch television, use iPads, YouTube, mobile devices. We will be creating excellent, worthwhile, funny, entertaining content that will be at home broadcast first or shared and highly interactive." It's a shame. I spent many a morning with Patty and will miss her. Update: Patty is on the air until September, so she'll visit me for an episode of Toronto Mike'd then. I'm looking forward to it. My kids also liked watching KidsCBC with Patty and Sid. CBC's explanation for the change sounds weak - I find it hard to believe the current hosts can't handle doing videos that work online? Interestingly, I discovered a great band while watching the show once - Great Lake Swimmers did a performance with Mamma Yamma outside her cafe. The musical guests were great. I loved The Strumbellas' appearance. Some TV hosts and anchors hang around to a ripe old age, but for the most part, it's a business that favours the young. And I suppose I can only damn the decision-makers so much -- after all, they butter their bread with ratings, and it's the younger audiences they have to appeal to -- but it's rough for the talented people whose only mistake was getting old. I think Patty Sullivan is very talented. I am particularly impressed at how she can make so so many happy facial expressions and be so active. I read that Patty wont be doing the kids shows. I feel Patty has yet to achieve and realize her greatness. Good luck, Patty. If anyone is interested...I have started a petition to get CBC to bring Patty back! PLEASE sign it!! Every signature is a HUGE help! @Erin: Petitions like that one don't and won't work-you and others need to do individual snail mail letters to the CBC if you want to see Patty back on TV. I am really disappointed. I have seen the new so called "better" studio k for the kids cbc content and im not impressed. I really do not understand this need for rebranding. Kids are very sensitive with change and Patty was a great host. She got involved. Dressed up and was a real kids entertainer. Now if Patty herself has decided it is time to move on then all the best to her. But it sounds like the same thing they did with Canada AM and revamped it too which was unnecessary. I was unhappy with the changes made to sesame street too. I find its way too flashy and fast pace now. I find children are not engaged with it like they used to be. I want to see a variety of people on tv not the same people on everything. Ie ben and melissa on Your Morning. If i want to watch them ill watch their other shows. I miss the funny dynamic of canada am and i will definally miss the dynamics of Patty's morning on Kids CBC. CBC stop!!!!! changing everyhing and saying it appeals to more people. Not one comment so far has been positive of your changes. I had to take the time out of my busy schedule with a toddler and a newborn to say "BRING PATTY BACK!". What the hell CBC, why change something that IS working? I had to google to figure out if Patty was on vacation to find out the new "CBC K" is the new deal. My toddler hates it and now I have to find another chanel. Thanks a lot (not). BRING PATTY BACK! I only figured it out this morning after watching with my kids and a bit of Googling. Seriously? Why the change? Bring back Sid & Patty, the kids love it, why change it? They do not like the new direction, I get asked to change channels, they don't like CBC any more. I'm really not impressed with the new studio k on CBC kids. I think patty really spoke to a wide variety of children at different ages. She was versatile. In my opinion the new studio k hosts are good but they really cater to an older child. So do the new puppets. The new programing of Studio K is terrible. Patty entertained and educated. My wife and I feel this new studio k makes our kids dumber by having watched it. My son which is 3 soon loved watching Patty, Sid and mamma Yamma! We're both so disappointed, caught a glimpse of CBC's so called "new direction" and it is terrible. My son loss interest, it's not captivating or educational at all. Very sad, we no longer watch cartoons on CBC. Shame on you. I've stopped watching Kids CBC in the morning with my children. They don't like the new platform, so called revamping to keeping up with the times crap. Patty, Sid and Mama Yamma were something to look forward to. I honestly feel like I should be saying R.I.P to Kids CBC. but hey, th at's just my opinion :( Even the cartoons ~~sigh~~ Where is Bo On The Go ? It was a great addition in the morning to get my children motivated to go to school with a few morning exercises. It's just not and never will be the same. Agree with the comments. The change is horrible. We don't have cable, which was okay in the morning because CBC Kids kept them happy and chatting while waking up . Now they watch the news, willingly. Sometimes change doesn't work. @Amber, your kids don't need to constantly have Bo On The Go on the air in order to exercise-that's what school is for. I will agree that getting rid of Patty and Mamma Yamma was a bad idea, but Bo On The Go was long in the tooth and needed to go off of the air anyway, plus it had already ended production a long time ago. There are other show that give the same kind of thing kids want and expect from TV without broadcasting the same already ended program over and over. I miss Patty and Sid and can't stand the new Studio K. It isn't the new cast's fault, but it's really goofy and not age-appropriate. When you're playing a preschool/kindergarten-age show like Napkin Man and discussing how children can deal with their big feelings, followed by a clip of two male hosts playing an absurd spoof of a princess fairytale, it's not appropriate. Trying to explain that to a 3-year old is really tricky and promotes a really goofy and immature kind of behaviour. Sigh. So miss Sid and Patty and proper musical guests. These 3 new hosts are certainly the most obnoxious trio on television. If you want your child to develop ADD then just keep letting them watch these three fools. I do not allow my children to watch anymore out of fear that they will turn into brainless dolts. Patty was great and she is sorely missed. Just caught on of the change after a nostalgia kicked in and my son and I went searching for the old line up. So very disappointed that the little skits and musical numbers are a thing of the past. The characters created for the CBC line-up had a sincere happiness and optimism to get caught up in, I remember even escaping in it with my son. Sad to see that was Golden Era for CBC kids and the little new ones will never know the classic.